Today, the average college student graduates with a staggering amount of accumulated debt. Very few students, less than 20%, are able to complete their post-secondary education without amassing some level of student loan debt. While college loans make higher education more accessible to a greater number of students, they also come with a fair amount of risk, and students should approach them with a degree of caution. For many students, the college loan process is their first substantial financial experience. Consequently, they may not fully understand their responsibilities as borrowers, and may be unprepared to successfully manage their outstanding student loans. Defaulting on a student loan is never an option, and borrowers will be responsible for full repayment, plus interest, of the loans they have received. To help students better manage their college loans, many lenders now offer financial tutorials that explain the loan process from issuance to final repayment. These tutorials are designed to ensure that student-borrowers fully understand their rights and responsibilities, and are prepared to fully repay all loan monies received. In some instances, student-borrowers will be required to complete a loan tutorial before any student loan can be issued. A college education is a costly proposition and, like it or not, most students will need to rely loans to make that education a reality. The costs of college continue to rise, and show no signs of leveling off. 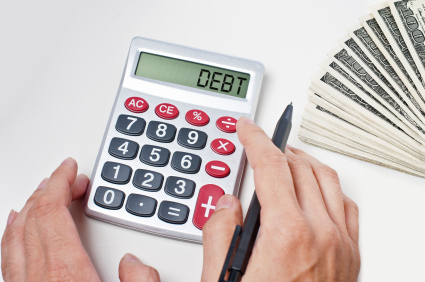 College equals debt, and if you are planning on the former you must be prepared for the latter. Students graduating from a 2-year vocational school or technical college will amass an average of $10,000 in student loan debt. These are students who are working towards certification programs that will help them to transition directly into the workforce. The current average student loan debt for graduates from a four year college or university stands at $26,600. That figure can rise significantly for students attending a private, for-profit college or university. These are students who have received a Bachelor’s or baccalaureate degree. Graduate students will be faced with an even greater amount of student debt. On average, students earning a graduate degree will leave school with an average of $43,500 in accumulated college loans. Again, this amount will be significantly greater for students graduating from a private for-profit university. Students studying medicine or law can easily amass a student loan debt that tops six figures. Taking into account loans for residencies and bar exams, they can easily find themselves with loans in excess of $100,000. Obviously, the rising levels of student loan debt are a direct response to the ever increasing costs of college tuition. This is in part due to inflation, though college tuition costs are rising at a significantly higher rate than can be accounted for by standard inflationary adjustments. These increases in college costs, including tuition and all related fees and expenses, show no signs of slowing. Consequently, students pursuing a college education must be prepared to incur a significant degree of debt in order to complete their education. There are two major sources for students loans, the Federal government and the private sector. Federal student loans should be every college students first choice. Federal loans have lower interest rates than their private sector counterparts, and offer much more student friendly repayment options. Many Federal loans also offer deferment plans, which allows for a grace period following graduation before the borrower must begin repayment. That being said, not all college-bound students will qualify for a Federal loan. Federal student loans are determined on the basis of financial need, and not all students will meet the criteria. Even those students who do qualify for Federal loans may find that they are still left with a significant amount of unmet need. That’s where the private, or alternative, loan comes into play. Unlike Federal loans, private student loans are decided solely on the basis of credit history. This can present a problem for many college students, as they may have little or no credit history to show for themselves. Many private lenders will allow students to engage a cosigner, either a parent or a guardian with a solid credit report, in order to secure the necessary loans for college. Private student loans come at a higher cost than Federal loans. They typically have higher interest rates, application fees, penalties for early repayment, and much more restrictive repayment options. While private lender student loans help thousands of students every year find the money they need for college, they can place a significant burden on student-borrowers. Students are advised to pursue Federal student loans before considering any private lender loan agreements. Unfortunately, due to a lack of proper financial aid guidance, many students turn to private lender loans before exhausting all of the Federally supported financial aid opportunities. Before taking on any high cost private students loans, be sure to apply for any government sponsored financial aid programs for which you may be eligible. One of the major mistakes that college-bound students make is failing to fill out and submit their Free Application for Federal Student Aid. The FAFSA is every students gateway to a wide range of Federally supported grants and low cost loans. It is also used by most independent scholarship and grant sponsors to evaluate applicants, and decide financial aid awards. Students who fail to submit their FAFSA will have no alternative but to pay for their college education out of pocket, or to secure a series of high-cost private lender loans. More than 8 million high school graduates fail to fill out their FAFSA every year, don’t be one of them. The high cost of a college education has seen a disturbing trend amongst graduate and post-graduate students. Understandably, many students are reluctant to increase their college loan debt and are dropping out of college rather than complete their graduate or post-graduate studies. It is important to remember, however, that a student’s future income potential is in direct proportion to the level of their education. While no one likes to recommend taking on more student loan debt, abandoning your graduate studies will only result in a loss of income potential. Meanwhile, you will still be responsible for the student loan debt you have already accumulated, and will be less likely to reach an income level that makes repayment suitably manageable. While student loan debt continues to rise across the board, managing that debt has become significantly easier. Both the Federal government and private lenders have a vested interest in seeing students fully repay and discharge their college loans. Consequently, most Federal and private loans offer a variety of repayment options designed to help borrowers better manage their outstanding debt. These may come in the form of deferments which allow the borrower to postpone repayment until after graduation when they have entered the workforce, or loan consolidation programs that allow students to combine their existing debt into one more manageable loan. Many private lenders also offer a variety of repayment options designed to match the borrower’s financial position, adjusting monthly payments according to income. These more flexible repayment options help assure that loans are repaid in full, and that student borrowers avoid defaulting on any outstanding loans. With more than 60% of students relying on college loans to finance their education, it is clear that they play a pivotal role in keeping higher education accessible to all. The rising costs of college tuition also means that student loans are here to stay. While there are always potential pitfalls along the way, students should not forgo their college education out of a fear of accumulating student loan debt. A better education equals greater earning capacity, and students who have invested in their education will be able to reap the benefits despite their college loan debt.